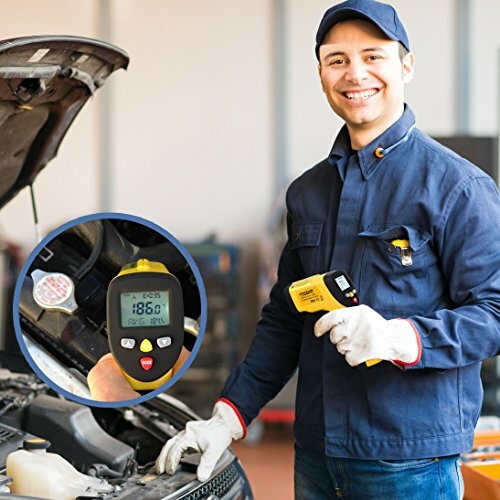 Take accurate non-contact temperature readings of any surface within less than a second. 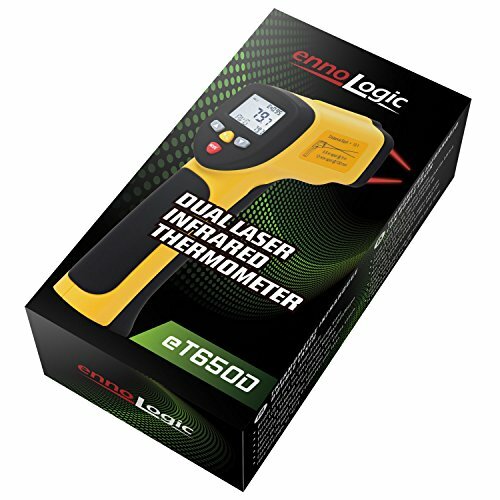 The eT650D from ennoLogic is a non-contact infrared thermometer that allows you to measure the temperature of an object from a distance by sensing its radiated infrared energy. 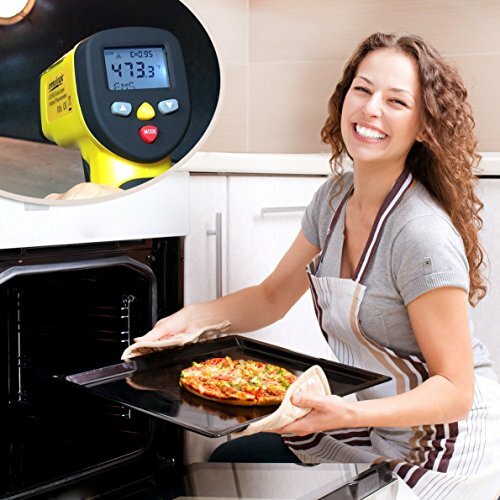 It is a feature-packed instrument with countless uses that include cooking, refrigeration, automotive, A/C, HVAC, and many other home uses (even as reptile thermometer). 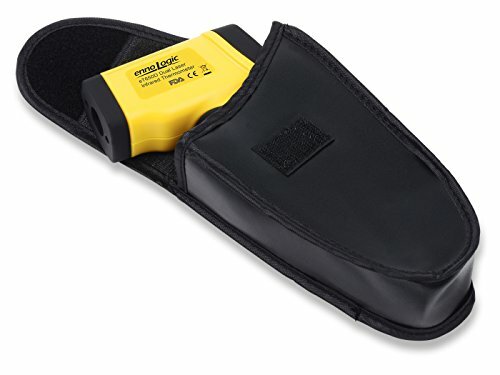 NOT designed for body temperature measurement. 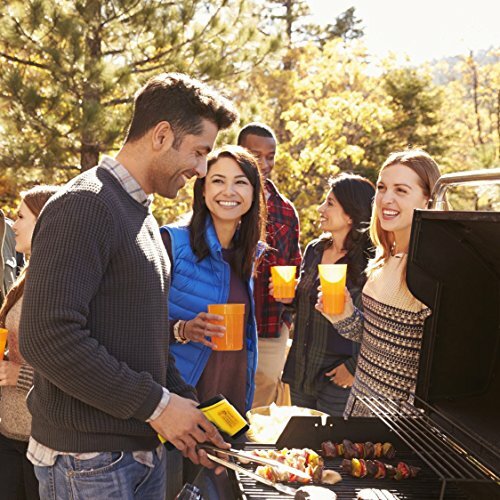 The ennoLogic eT650D comes with a 10-Year Warranty, a Hassle-Free Replacement Guarantee, and a Risk-Free 100% Money-Back Guarantee. 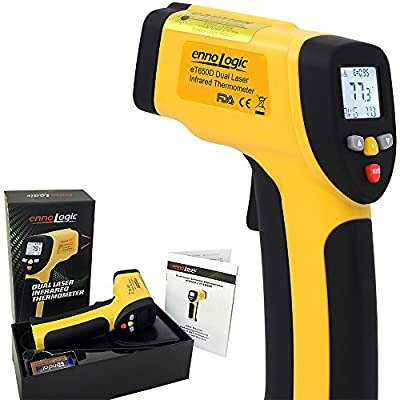 Don't fall for imitations, only products with the ennoLogic brand undergo the strict quality test procedures that guarantee their accuracy, and compliance with FDA and FCC regulations. NIST-traceable calibration verification certificate available on request. Click the Add to Cart Button Now or Buy with 1-Click Checkout.